"A hero who doesn't exist must save America from an enemy we never knew we had." When a witty and street-savvy NYPD police officer (Fred Ward) regains consciousness after a lengthy hospitalization - following an unusual mugging, a fictional top-secret U.S. Organization (CURE) steps in, gives him a new identity, face-lift, and fakes his death to the media. Now he is Remo Williams, the premier top-secret agent trained to topple evil with his newly acquired specialized combat skills. This thrilling and comical adventure is supported by a colorful cast of energetic characters which includes a bizarre martial arts master who teaches Remo Williams how to dodge bullets, and evade trained military assassins by using his instincts, hands, and feet. 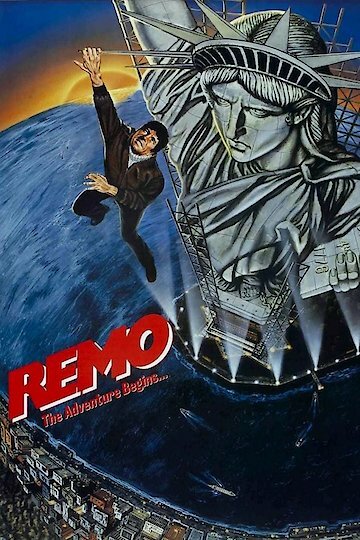 Remo Williams: The Adventure Begins is currently available to watch and stream, buy on demand at Vudu online.